As of June 21, artists and creative entrepreneurs looking for studio space will have yet another option. 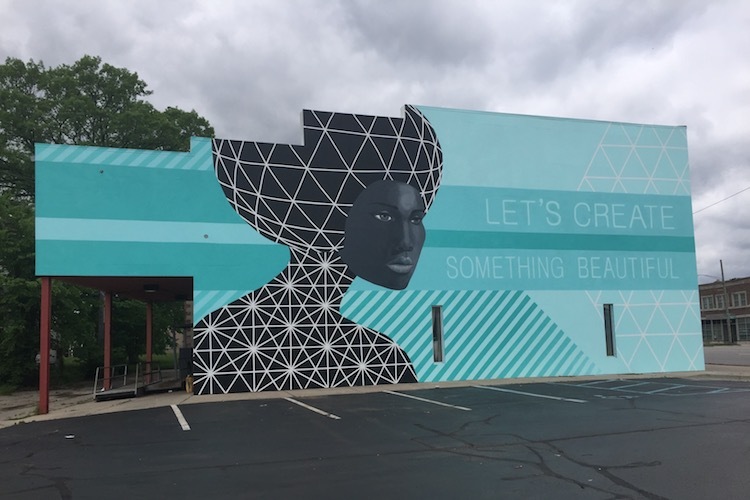 Detroit Artists' Test Lab (DATL), located on Mack Avenue on the far east side, is the latest artist incubator to open its doors. Founded by husband-and-wife collaborators and artists Glenn Urquhart and Kira Kessler, DATL was a project seven years in the making. Thanks to Motor City Match grants, the couple was able to complete renovations of the 12,000 square foot building into the incubator. DATL contains a 2,500-square-foot professional photography studio, a 3,500-square-foot gallery, and a podcast studio for rent. Private offices are available for lease and co-working space memberships will start in the fall. Urquhart and Kessler have become active in the Jefferson Chalmers area since purchasing the building. According to a press release, they are members of the Eastside Alliance, Eastside Community Network, Mack Avenue Steering Committee, Embrace Creatives, and have mentored local youth artists. "We were looking for a place in a diverse, inclusive neighborhood to live, work and play and where we could thrive in our craft and help others blossom as well," said Urquhart. "Detroit's east side offers many resources for entrepreneurs, innovators, nonprofits and small businesses, and as entrepreneurs we wanted to find an innovative way to use the building to be able to do the same." Detroit Artists' Test Lab, located at 14600 Mack Ave., will host a grand opening event on June 21 from 2 to 11 p.m. that's free to the public and will include tours of the space, a live Q&A, and a curated art show in the gallery space.